AppRev, an industry leader in hospital revenue cycle solutions, announced today that it has hired Tabitha Doss as its new Director of Marketing. In her new role, Ms. Doss will be responsible for managing and increasing awareness of AppRev’s full range of revenue cycle products, while continuing to advance the company’s marketing strategies. Prior to joining AppRev, Ms. Doss served as Events and Marketing Manager for TruBridge, coordinating trade shows and conferences, as well as leading national B2B marketing efforts and the company’s social media presence. 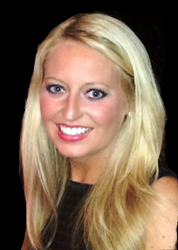 A graduate of the University of South Alabama, Ms. Doss holds a Bachelor’s of Arts degree in Communications. She brings with her experience in a diverse marketing background, from personally supervising all aspects of the conference experience to actively affiliating with state and national organizations, such as the Healthcare Financial Management Association and American Health Information Management Association. "I am thrilled to be joining the AppRev team and look forward to working to further market and execute the vision to grow the AppRev solutions on a national level within the healthcare industry," said Ms. Doss. AppRev is a privately held Healthcare Business Intelligence company based in Temple, Texas, providing services and technology to more than 80 hospitals throughout the United States and Bermuda. AppRev delivers results through services and technology that allow hospitals and clinics to improve revenue cycle performance. The company’s solutions are provided via web delivered Service Supported Software™ and include Charge Accuracy, Denials Intelligence, Pricing Analytics, Pricing Transparency using the Market Advantage Price Lookup Tool, CDM and DSH services. All AppRev solutions employ ongoing measurement of revenue cycle improvements and can be tailored to meet customer-specific requirements.